When it comes to HoCoPoLitSo, I follow the money via the checkbook, the budget, and the ticket sales. I also do the tax returns. In short, I’m the Treasurer. I’m also an unofficial driver for HoCoPoLitSo. Since we like to provide the personal touch, the board members and the staff share the task of picking up or dropping off our authors at the airport or the DC Metro. It surprises me that so many of our authors, including our own Lucille Clifton who lived in Columbia, don’t drive at all. I admit that if I lived in DC, I would seriously consider abandoning my car, but I wonder sometimes if there is something innately poetic about not owning a car or holding a drivers license. 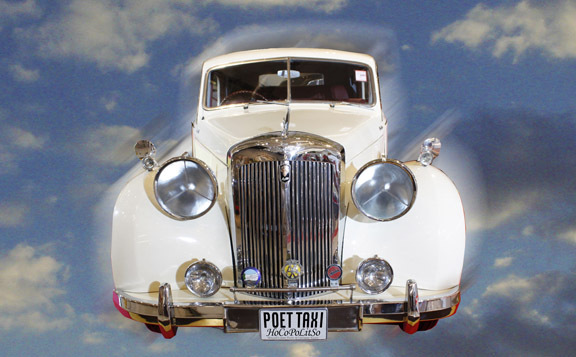 Whatever their reason for not driving, the benefit of the poetic lack of license is that it gives us another opportunity to interact with our visiting authors. While some save their energy for the audience and just wish to ride quietly (as did Martin Espada), others prove quite talkative. On our way to the Wheaton Metro, Naomi Ayala remarked about how green Columbia was so I explained Columbia’s Open Space concept. In turn she told me about her favorite Ethiopian restaurant in Adams Morgan. Linda Pasten carried on a charming conversation with me despite the nail-biting circumstances of running very late as I drove her along winding back roads from Montgomery County to Columbia one rainy Friday. She surreptitiously glanced at her watch and humored me gently as I chattered away, trying to distract her from my perhaps ill-founded decision not to use the beltway. Playing chauffeur is well worth the experience and, as Treasurer, I have to add, the cost of the gas. So I guess I’ll keep my car and the job. By hocopolitso in Guest post on October 17, 2012 .